Faster than your shadow: bet-at-home.com’s turbo tournaments give you the chance to play poker like they did in the Wild West. You’re guaranteed a thrilling ride, especially as the prizes are confirmed just before the hand begins. The wheel of fortune decides – and for you, there are loads of Twister tickets! All-in – Feast or famine! Take your place at the table and maintain your poker face, because you’re going all-in on your very first hand. Three players will compete for a tasty pot, but only one can win! Get your hands on tickets worth either double or 100 times the value of your €0.50 buy-in! The Twister tickets are not refundable, not transferable and cannot be cashed out. All winnings will be credited automatically to the winner’s poker account after the tournament has ended. 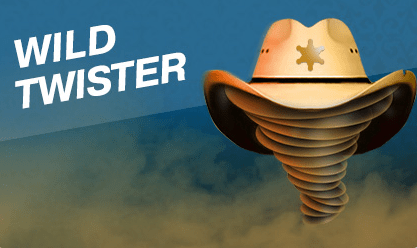 Prizes: Wild Twister Poker is a "winner-take-all" tournament. The prize pool will always be announced at the start of the tournament. The prizes range from the buy-in + fees multiplied by two to the buy-in + fees multiplied by 100. Poker fans have got some missions on their hands! 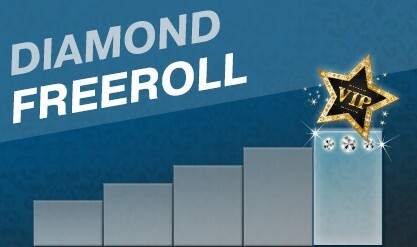 Complete these assignments and bet-at-home.com will provide you with freeroll tickets. You have one week, as the tournaments take place every Sunday at 20:00 or 20:15 (GMT+2)! Best of all: If you repeatedly complete our weekly assignments you could get your hands on several tickets for these fantastic tournaments. There are up to four tickets available per week! 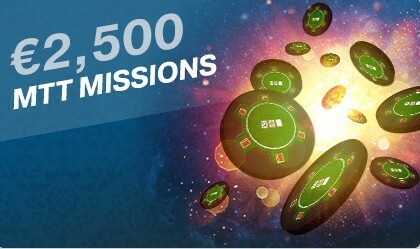 The freerolls are limited to 10,000 participants. The missions must always be completed between 20:00 (GMT+2) on Sunday and 19:59 (GMT+2) on the following Sunday. Big prize pools are guaranteed. There are regular tables in the tournament schedule which offers the chance to win huge cash prizes every single day. The tournaments aren't one-time offers because each week they'll be renewed! At least €100,000 is in the pot – guaranteed! All winnings will be credited to the winner's poker account after the tournament. In the case of an outage or interruption, the matter will be settled in accordance with the standard interruption guidelines. There's no room for boredom on Sunday evenings because at bet-at-home.com poker now there are 15 new tournaments to round off the week – any time and for every wallet. And €120,000 are guaranteed! 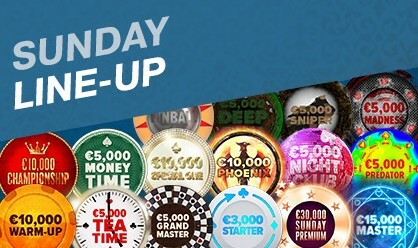 Be on the lookout poker fans: There's now €25,000 in the pot for the €30,000 Sunday Premium. With just €50 you're in. So what are you waiting for? Reserve your seat now! Your Loyalty Points are your ticket to exclusive tournaments - day in and day out. 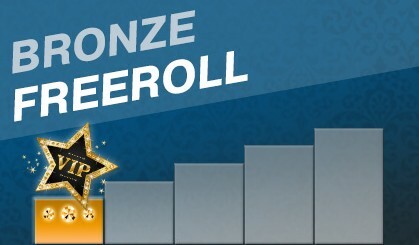 For only 10 Loyalty Points you're there for the €20 Bronze Freeroll. It always starts at 19:00! The tournament takes place daily at 19:00 (GMT+2). All players with at least the VIP status "Bronze" are eligible to participate. Buy-in is 10 Loyalty Points. 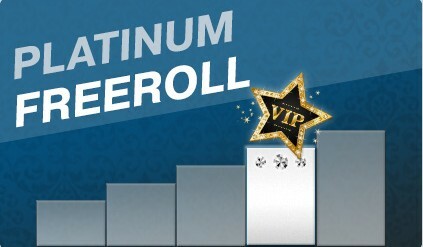 Silver members of VIP clubs be on the lookout: Now each Sunday at bet-at-home.com poker there's a freeroll exclusively for you. And a guaranteed €200 is waiting in prize money! The buy-in? Only 100 Loyalty Points. Reserve your seat now! The tournament takes place every Sunday at 17:00 (GMT+2). 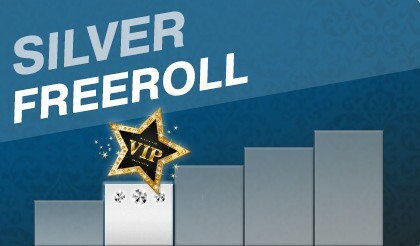 All players with at least the VIP status "Silver" are eligible to participate. Buy-in is 100 Loyalty Points. bet-at-home.com rewards true poker players: And now for all member with the "Gold" status there's a special tournament. 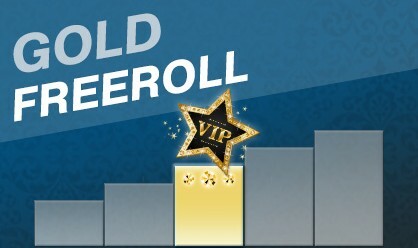 Each Sunday at 18:00 (GMT+2) begins €300 Gold Freeroll. Buy-in is only 150 Loyalty Points! The tournament takes place every Sunday at 18:00 (GMT+2). All players with at least the VIP status "Gold" are eligible to participate. Buy-in is 150 Loyalty Points. 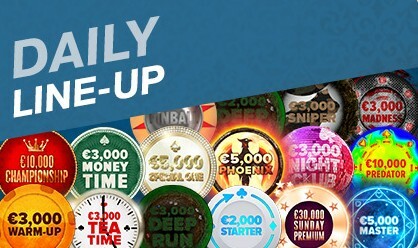 Don't forget: as a platinum member each Sunday you have the chance to win a guaranteed €400. Secure your seat now! All it takes is 200 Loyalty Points! Start time is always at 19:00 (GMT+2). The tournament takes place every Sunday at 19:00 (GMT+2). All players with at least the VIP status "Platinum" are eligible to participate. Buy-in is 200 Loyalty Points. Are you a diamond member of VIP club? Then there's an extra reward for you: That's because there's an exclusive freeroll tournament for all poker professionals starting every month. The action always starts at 20:00 the last Sunday of the month (GMT+2)! Buy-in is 400 Loyalty Points. And there's a guaranteed €800 in the pot!. The tournament takes place every Last Sunday of the month, 20:00 (GMT+2). All players with at least the VIP status "Diamond" are eligible to participate. Buy-in is 400 Loyalty Points. Pure excitement is guaranteed because at bet-at-home.com poker Twister Sit & Go's are waiting for you! The prizes are confirmed before the tournament starts. The wheel of fortune decides – you can get up to €50,000! Decide yourself how high the buy-in is and take your place at the table. 3 players fight for the prize but only one can win the pot, which is between twice and 1,000 times the buy-in! 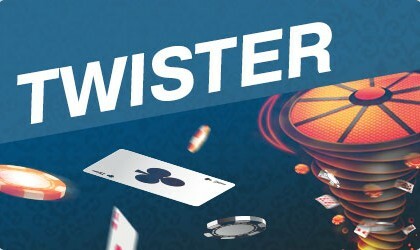 The Twister 3 player Sit & Go is a "Winner takes it all" tournament. The prize pool is always announced before the tournament starts. The prize can be Buy-in + fees times two up to Buy-in + fees times 1,000.
bet-at-home.com will create 20,000 Twister tournaments with prize pools according to the table. After this more will be created. Values beginning from 1,000 euros are subject to a determined payout structure. On your marks, get set, go! 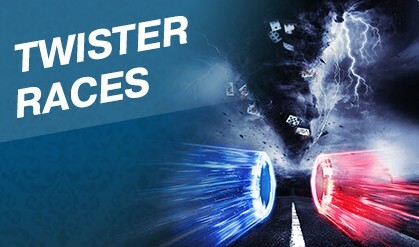 At bet-at-home.com poker the starting pistol fired for exciting Twister Races with a prize pool of €12,500! Collect valuable points every time you participate in a tournament. Every victory will get you even more points! And the best part: there is a new race starting every week! The races start on 7th November, 2016 and always run from Monday (0:00 GMT) to Sunday (23:59 GMT). In case of a draw, the player with more participations in twister tournaments will be ranked higher.